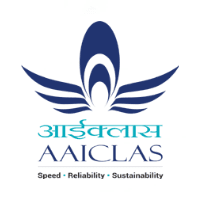 Applcants have Retired Executive from Airports Authority of India or equivalent from a recognized Institute for AAICLAS Recruitment 2019. Elgble & Interested candidates can Download Notification From Official website page at aaiclas-ecom.org AAICLAS Recruitment 2019. Applcants hard copies of the signed application Filled along with photocopies of ID proof, Proof of Date of Birth, Educational Certificates (Mark-Sheets/Degree Certificate), Caste and attested copies of relevant documents should sent to following address by post.